I suppose it depends on what you want. Another non-binding resolution that doesn’t address the problems with all the other non binding resolutions. Including a lot of care about legality not mentioned in this article. Egypt alleges that Israel won’t give the smuggled artefacts back until Egypt reinstates an ambassador to Israel. Several men were arrested for taking a statue out of an archaeological warehouse near Memphis. There have been rumours that a piece of the relief from the tomb of Djehutyhotep was stolen and now they are confirmed. 97 ceramic artifacts along with 38 wooden ones dating to the Muhammad Ali Dynasty were seized in containers along with wooden furniture headed to the US. The 200 pieces of meteorite were taken from the Chaco province and were found hidden under the seats of a truck. Historic items were taken from this inn during a period of closure. The regional superior court has returned a number of seized looted objects to archaeological authorities. They will go on public display in Cayma. 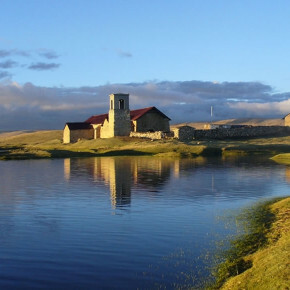 A Cuzco School painting was stolen out of the conquest-era church of San Pedro de Pari. The thieves only took the painting, not gold and silver items. The controversial statue of the confederate general was taken three years ago. The replacement is also causing controversy. Two years probation for the Rock `n’ Soul Museum theft. More coverage of the security issues that likely lead to the loss of art from the Boston Public Library. It seems the man has been implicated in the theft of anther Blue Dog painting as well. The statue of Eve was stolen and then found by a university employee in a parking lot. In light of the theft at the Boston Public Library it seems all past actions are being scrutinised. Apparently these gold coins have been missing for decades, however. Another auction of Hopi items in Paris approaches and leaders are calling for intervention. More on the recent raids that brought about the recovery of Nazi-era art. Four were arrested in Crete trying to sell a bronze Minoan statuette. Reporting on the 25 artifacts from various raids and seizures to go back. The frescoes were found in the tycoon’s collection after he died. A focus on the ‘sleeping beauty’ sarcophagus. “The siege of Cosenza” was on display outside in Cosenza when it was taken. Russia says “Evening in Cairo” by Ivan Aivazovsky is stolen; Sotheby’s says something along the lines of ‘well it wasn’t in any database’. The remains of a husband and wife that were looted in 1829 and eventually ended up in the National Museum of Scotland are subject to an emotional repatriation call. The people were looting Niuheliang, a Neolithic site, and 1,168 artefacts were recovered. This article includes photos of some of the seized objects. Apparently the mass arrest included four archaeologist and one man who used feng shui to determine where to dig. The article notes that the allegations that the Bauhaus pieces weren’t as Bauhaus as portrayed comes from a random website. How journalists and enthusiast can collect and share info to identify stolen cultural objects in foreign collections. Two idols were taken from the 1000-year-old Kammadath Bhagavathy Temple in Kasaragod district. The two idols were the only thing taken from the Kunnungai Srikammadam Bhagavathi temple at Chittarikal. This confused editorial advocates for an open antiquities market but the author, clearly not an expert, doesn’t seem to know that no open antiquities market has ever cleaned up the illicit trade. That is silly thinking. Local police say they are considering involving Interpol in the theft of six ancient idols from the Varahanatha temple complex. Tran Ngoc Tinh claimed to be a friend of artist Le Ba Dang to take artworks after the artist’s death. A very bad idea. This hasn’t gone through yet and appears to be coming from the Union Culture Minister. Count me among the critics who think this. This is nearly the worst thing India could possibly do. 12 members of a gang were arrested and an idol stolen from Kasiviswandh temple in April was recovered. The gendered language is a bit repulsive and I am not sure the faux mystery is helping anyone. I sincerely hope this was a reporter going overboard and not the researchers themselves. Photos of the return of Christian items taken from Maaloula. This report has not been independently confirmed at the time of writing. Archaeologists are upset that the PM’s party has attached the massive sign to the Valens Aqueduct, causing damage. Coalition air strikes and general breakdown of order have lead to the partial or complete destruction of heritage buildings.